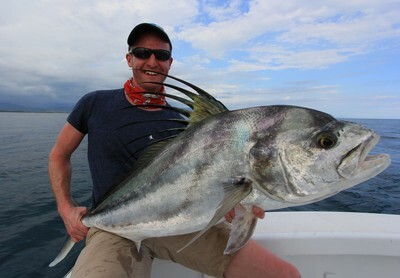 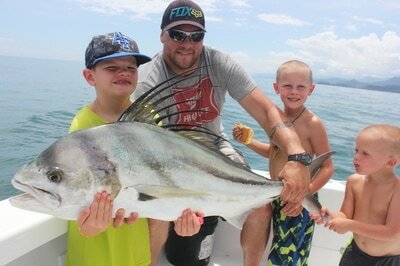 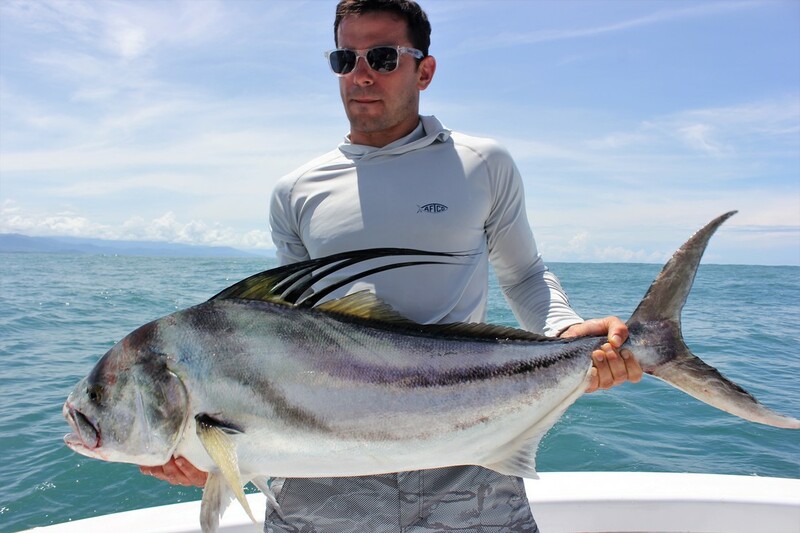 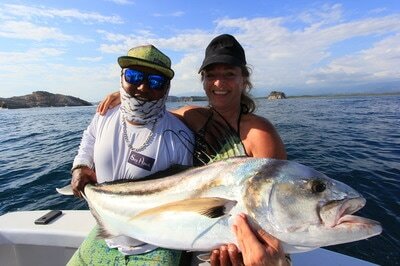 The Roosterfish perhaps like no other fish on the planet sits atop so many travelling Anglers Bucket list species. 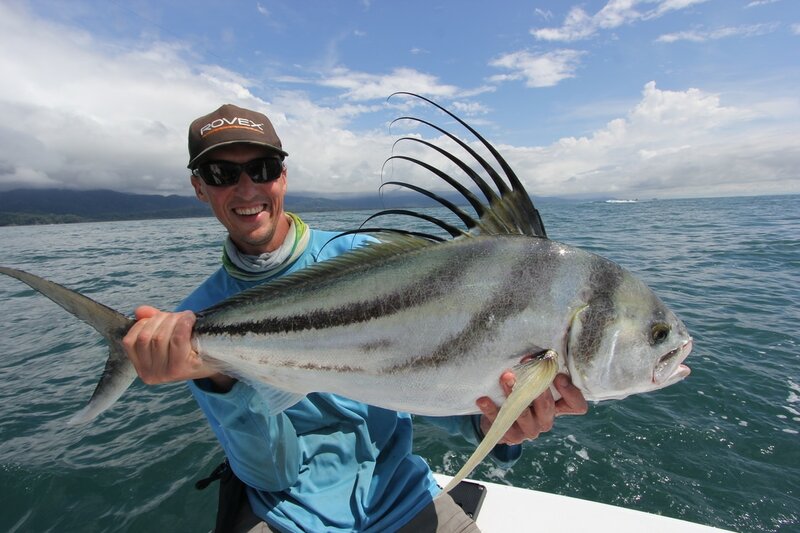 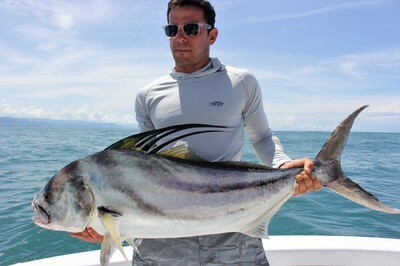 We are so fortunate to have access to some of the worlds best Roosterfish grounds along the Pacific Coast of Costa Rica. 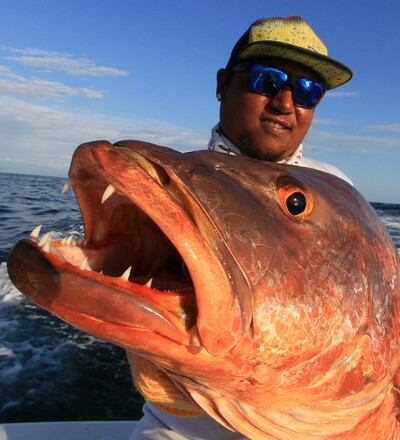 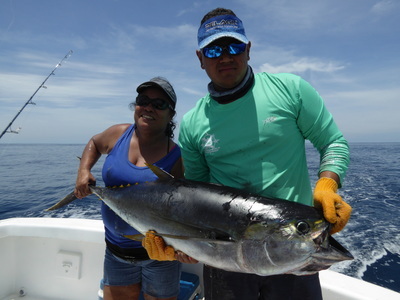 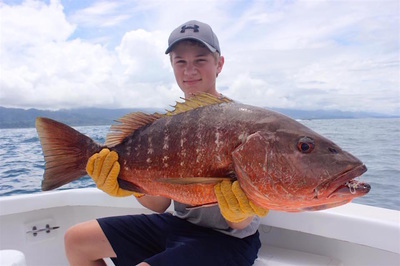 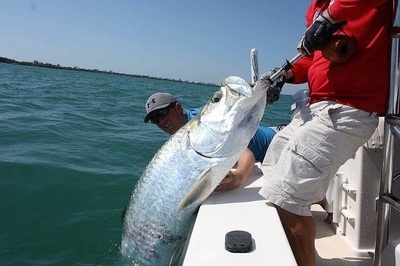 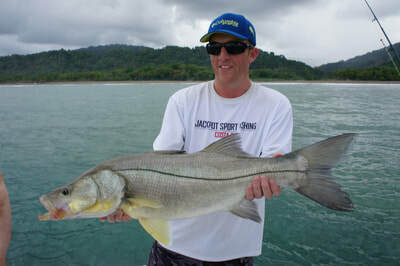 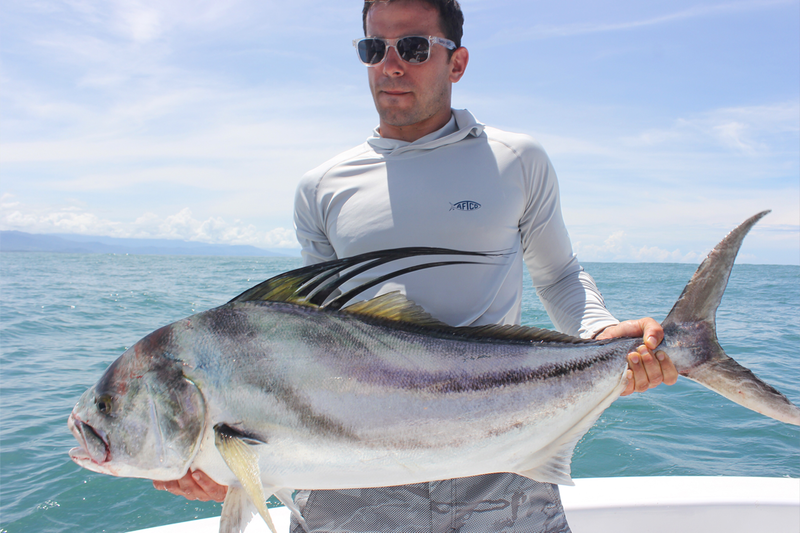 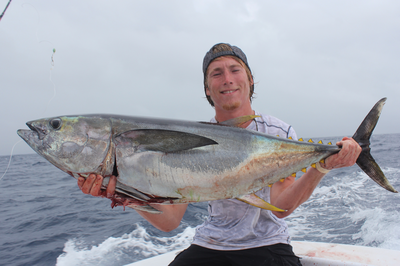 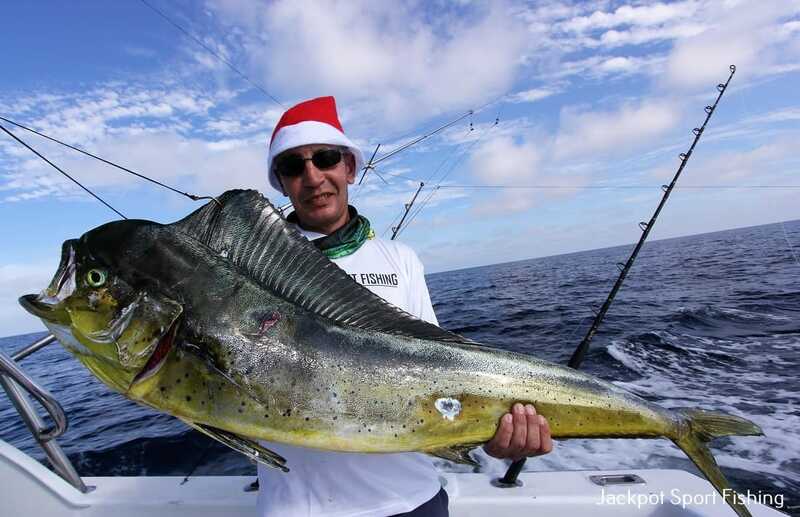 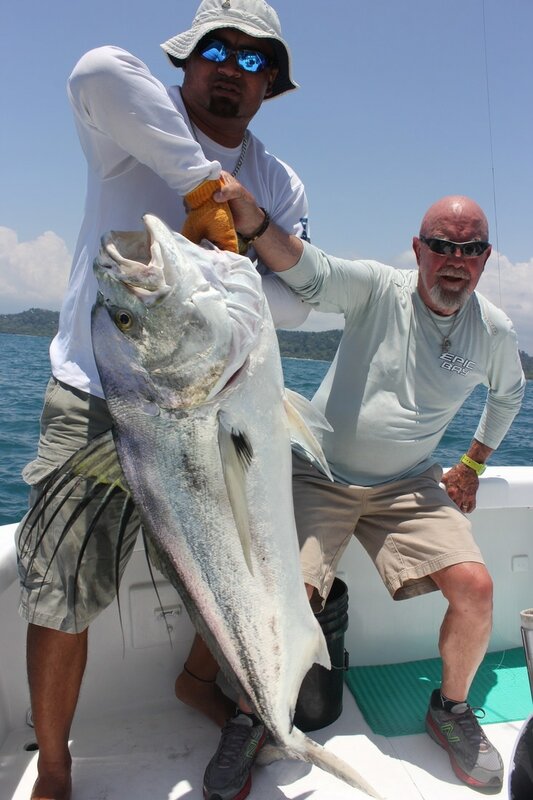 ​The IGFA World Record stands at over 115lbs and each and every year there are 100lb+ fish caught in Costa Rica. 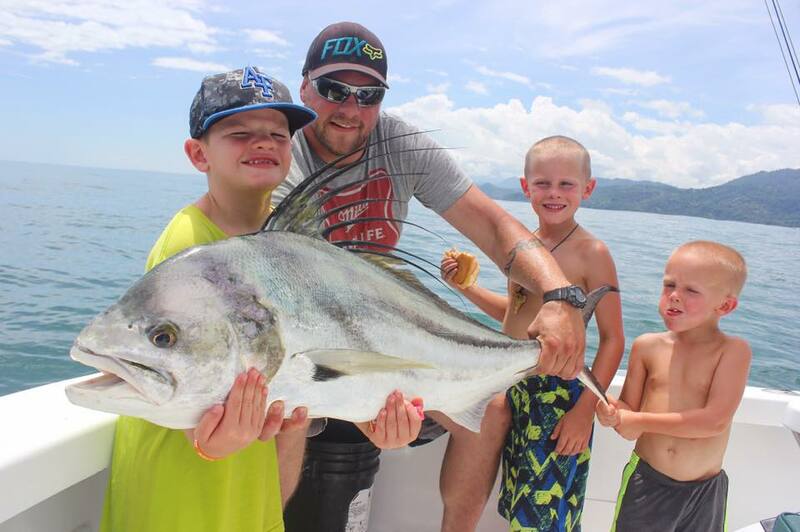 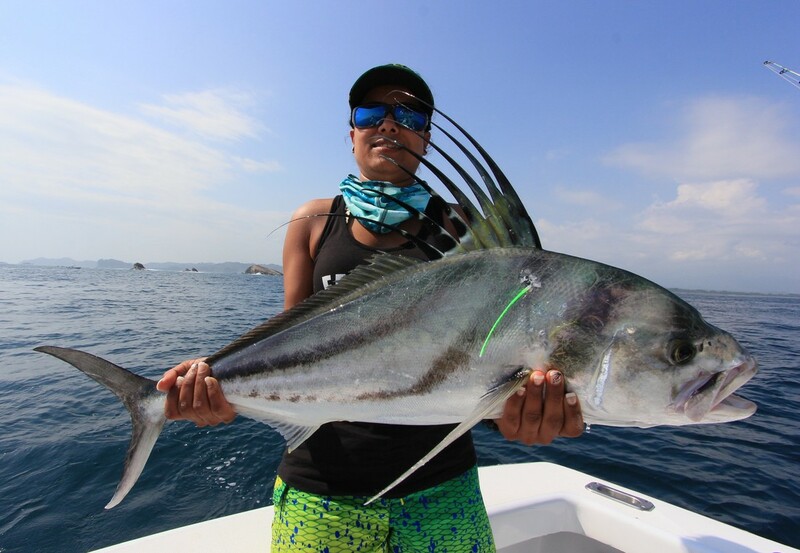 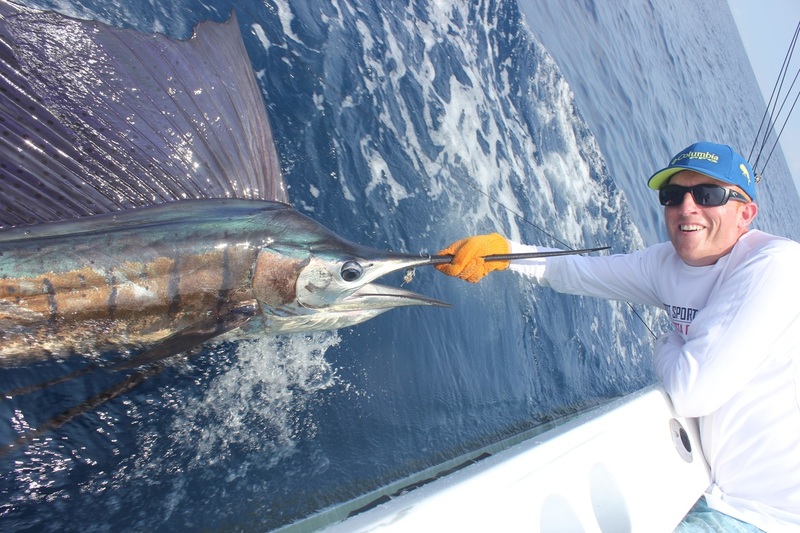 During the past month in Quepos we have witnessed the capture of some real Trophy Roosterfish, several fish in the 70-80lbs bracket and lots in the 40-50lb range. The catching of these hard fighting fish will put the strongest of tackle and finest of Anglers to the test, with their blistering runs. 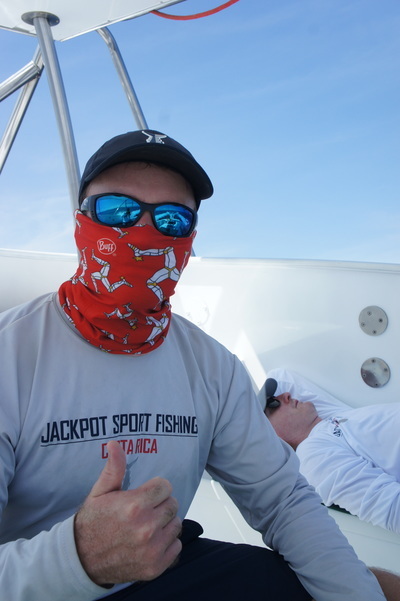 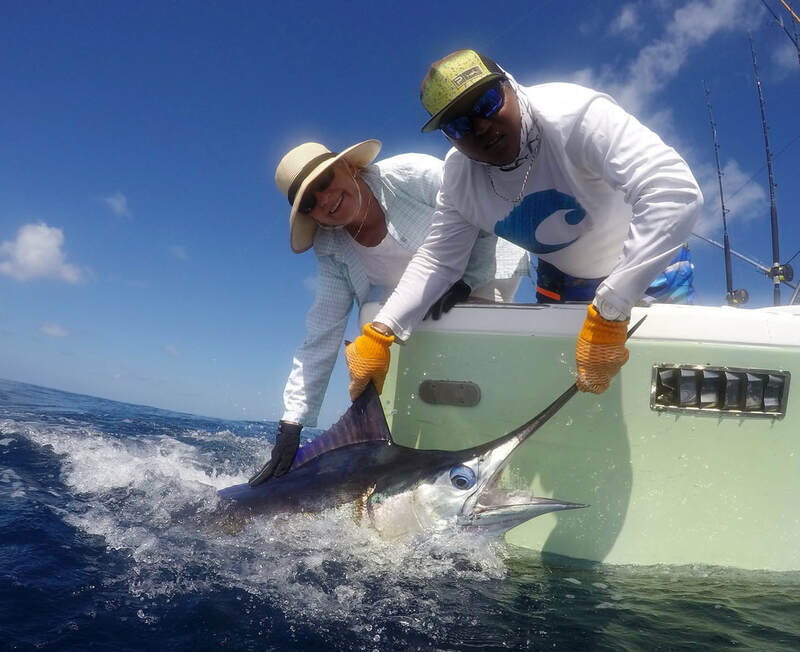 Just when you think you have won the battle, one look at the boat and a big Rooster will easily empty another 100 yards of line from your reel........for the sixth time. 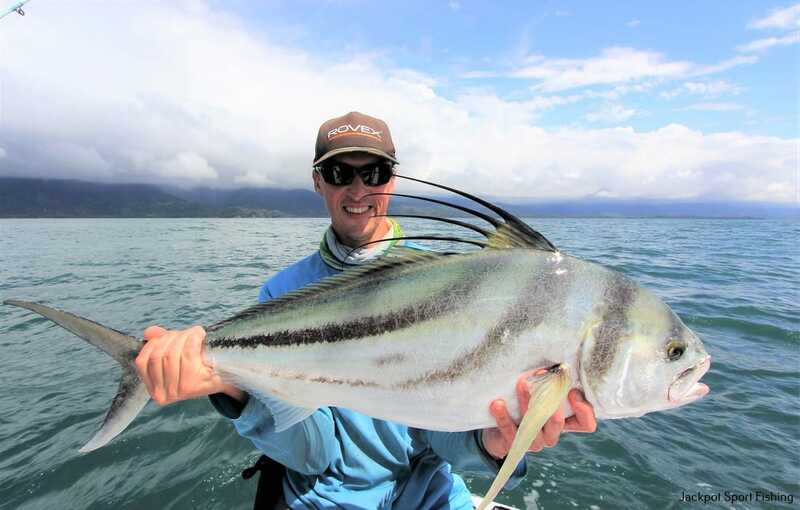 It is no wonder that Roosterfish are so revered by Anglers the world over. 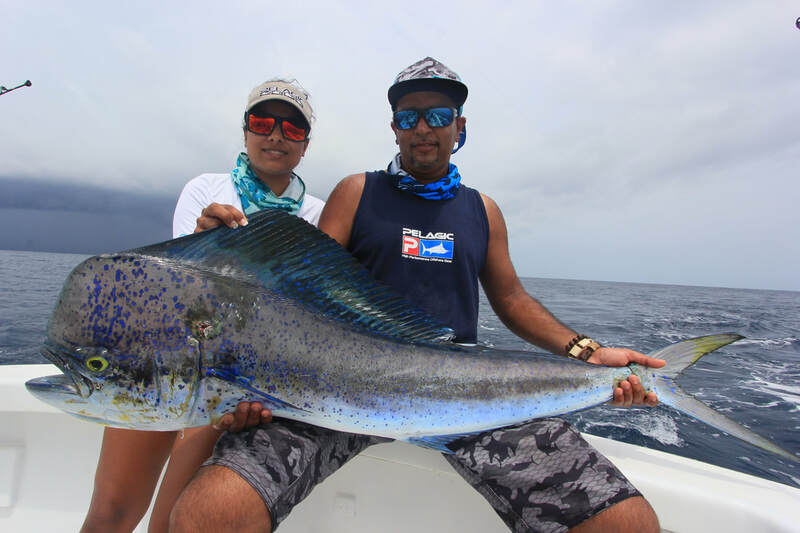 ​If you would like to experience some of the words best Roosterfish Fishing in stunning surroundings, aboard a great boat, with a passionate and knowledgeable crew - look no further. 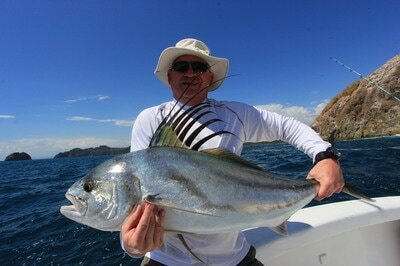 Live Baiting, Lure Fishing & Fly Fishing is all possible for Roosterfish. * Based on 4 Anglers for 7 nights accommodation in a private 3 bedroom Jungle villa, 5 full days fishing aboard 31' GOOD DAY, with return airport & daily Marina transfers. 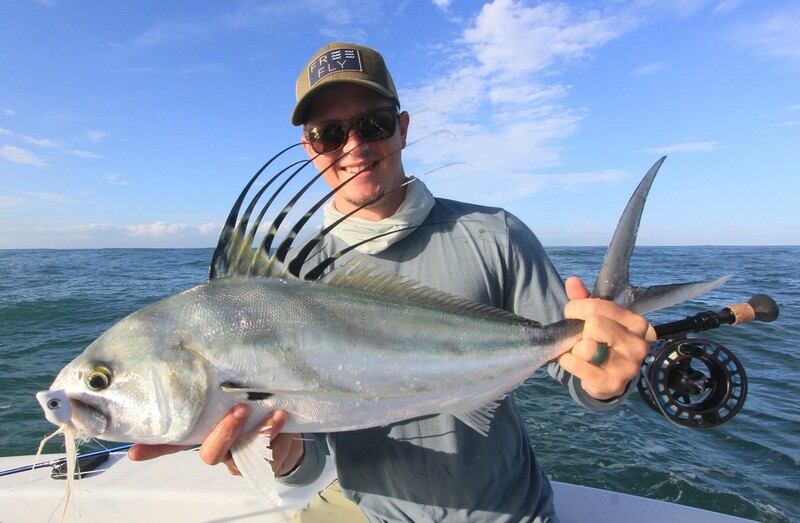 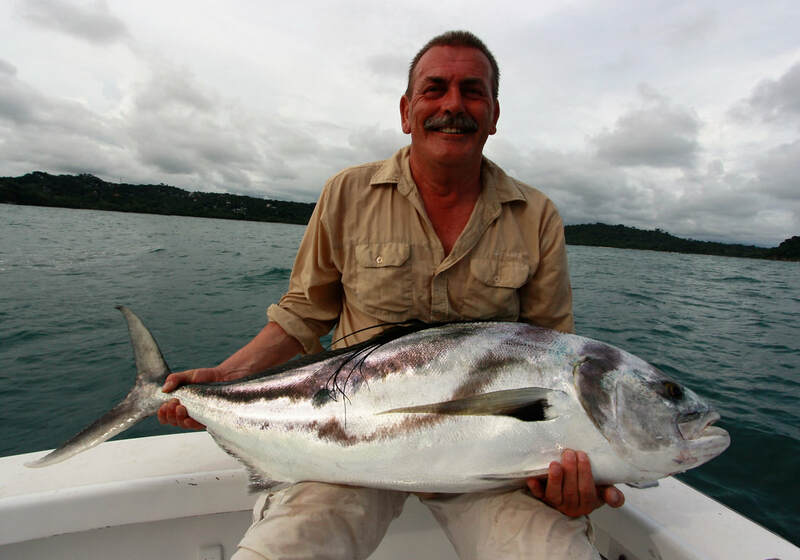 We would love to hear from you and help you catch a Roosterfish of a lifetime.